It'll be great for photos, not as much for video. 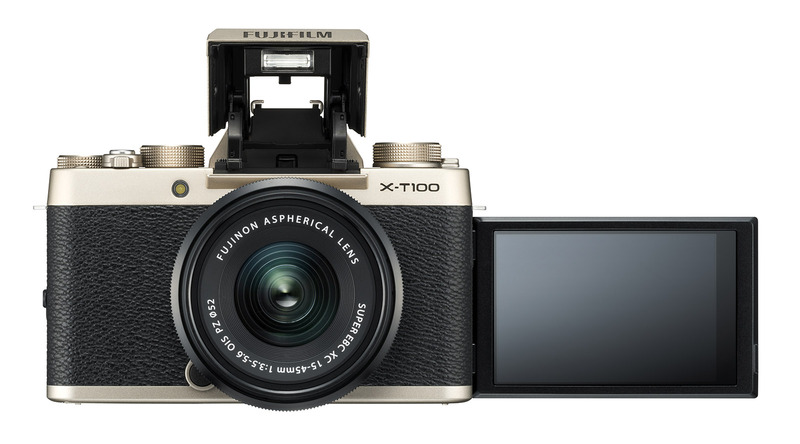 Fujifilm has unveiled the X-T100, an interesting mirrorless camera that's quite similar, spec-wise, to the entry-level X-A5, but looks more like the X-T20. It's one of the few inexpensive mirrorless cameras out there with an electronic viewfinder, great for serious photographers on a budget. Unfortunately, it's not as great for video, as Fujifilm crippled the 4K by limiting it to 15 fps. While X-T100 looks much like the X-T20, it lacks the front dial and a few other features from that model. 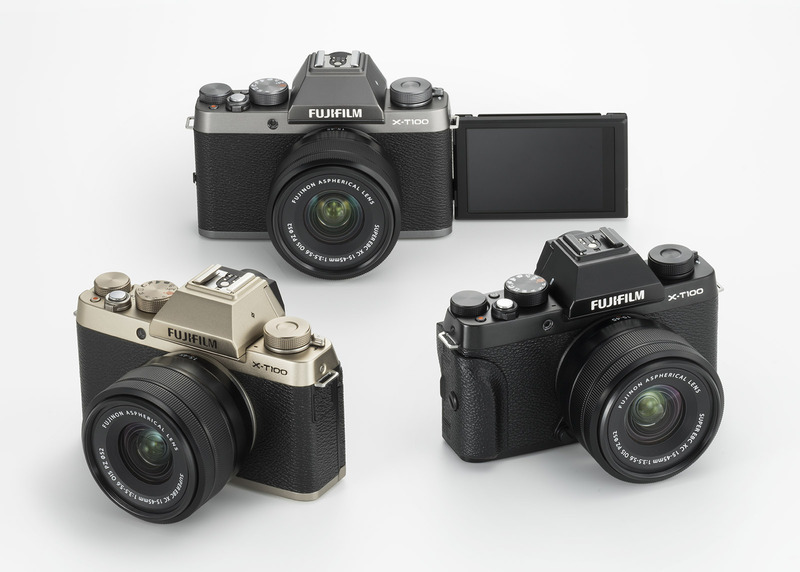 Still, you get four dials for tactile control, along with the classic good looks and compact body you'd expect from Fujifilm (it comes in dark silver, black and a surprisingly nice-looking champagne gold, above). Unlike the X-A5, it has a 3-way articulating screen that you can flip around for selfies or vlogging. Other specs, which Fujifilm accidentally leaked all over the internet last week, look pretty nice. It's got a 24.2-megapixel CMOS (not X-Trans) APS-C sensor that provides a wide field of view and works with Fujifilm's lovely X mount Fujinon lenses. You also get 6 fps shooting for up to 26 frames, double the capacity of the X-A5. Most importantly, it comes with a 2.36-million dot resolution OLED EVF, a very nice feature to have on a relatively inexpensive camera. While you do get 1080p video at 60 fps, 4K (3,840 x 2,160) is limited to 15 fps, making me wonder why Fujifilm even bothered. You could use it to capture video at high speed to use for photos (à la Panasonic's 4K Photo feature), or speed up the video to get an old-timey early-1900s look, I suppose. If you're okay without 4K video, the X-T100 is a solid mirrorless camera for the price, slotting in between the X-A5 and X-trans sensor-equipped X-T20. It will arrive in the US and Europe on June 18th for $600, or $700 with a Fujinon XC15-45 F/3.5-5.6 kit lens. 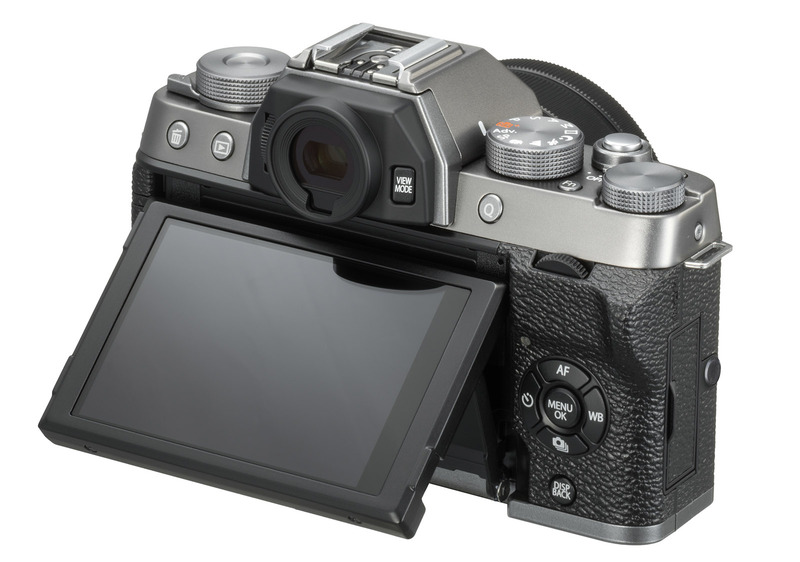 If you decide to order one, just don't confuse it with Fujifilm's very similarly-named X-100T compact APS-C model.